Sitting on northeast England’s North Sea coast, Hartlepool is a town in County Durham. With a population of over 115,000, there’s a good range of reasonably priced housing in the area that’s perfect if you’re a first time buyer or looking to snap up a bargain. At My Home Move Conveyancing we offer a specialist, fixed fee conveyancing service, and have been developing our knowledge and expertise of Hartlepool’s property market since 2001. When buying or selling property in Hartlepool, you need to instruct property lawyers to carry out the legal work on your behalf. 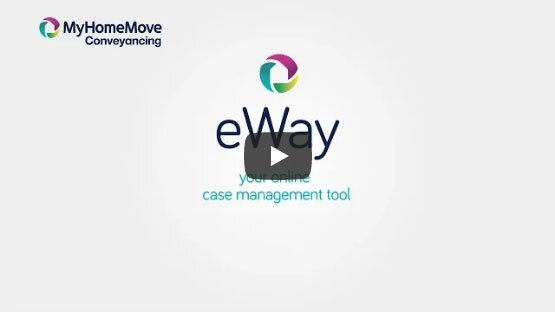 My Home Move Conveyancing offers our clients in Hartlepool an award winning level of customer service, innovative use of technology and intimate knowledge of the local market. Our professional, friendly conveyancing service comes with no hidden extra costs to worry about, so you can budget for exactly how much you’re going to pay from the outset when we act as your Hartlepool conveyancers. And, if you don’t end up completing, you won’t have to pay us a thing. We’ll assign you a dedicated conveyancer who’ll take care of all aspects of your case from start to finish, providing you with a consistent point of contact and regular progress updates. At My Home Move Conveyancing we’re delighted to provide our conveyancing services in Hartlepool to assist in the purchase of a variety of homes across the area, including in the town centre, near the train station and in neighbourhoods by Ward Jackson Park and Rift House Recreation Ground. The average house price in Hartlepool is £105,225, while the overall average sale price over the past year was £120,906. Most sales during this period involved terraces, which went for an average of £75,590, while semis fetched £124,490 and detached properties £216,640. Hartlepool’s history stretches back to the seventh century, when it was founded around the Northumbrian monastery Hartlepool Abbey. Expanding through the Middle Ages, its harbour became an important hub and the arrival of the railways brought further growth to the area. The town has seen lots of redevelopment and regeneration over recent years, making Hartlepool a great place to live for prospective homebuyers. The town is served by two main roads, the A179 and A689, which both link to the A19, while the nearest motorway is the A1(M) which passes to the west. Hartlepool has its own railway station, which puts on services to variety of destinations including Middlesborough; which takes around half an hour to reach. Trains to Sunderland take 25 minutes, while it’s double this to Newcastle. There’s a great range of highly-rated schools in Hartlepool for families with children to choose between, including Kingsley Primary, Fens Primary and Stranton Primary for younger students. Options at secondary level include Catcote School, The English Martyrs School and Sixth Form College, and Dyke House Sports and Technology College on Mapleton Road. All properties in Hartlepool will fall within one of the following council tax bands.